I don't even remember what I was going to search for... but Google's search suggestions stopped me right in my tracks. 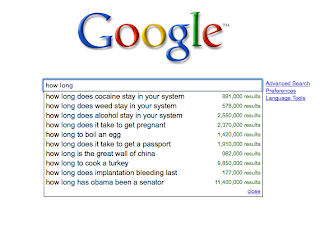 I could have guessed that "how long to boil an egg" would be on there. but "how long does cocaine stay in your system?!"